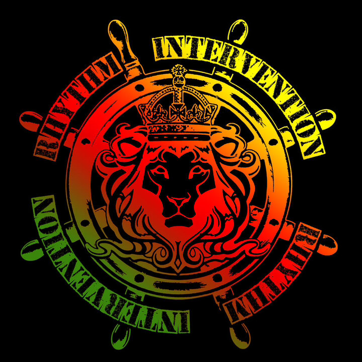 Rhythm Intervention is a band that truly represents its name. Hailing from the Alabama/Florida Gulf Coast area, the band combines elements of Reggae, Rock, Punk, Pop, etc. to create an intervention of music, hence the name. The musical journey the band takes you on is also reflected by the varied backgrounds of it members. Keith Lee(Backwater/The Evidence/The Lucky Dogs/Ricochet), the band’s pianist, studied music in college before venturing into the music industry…first as a touring musician, and then composing and producing award winning jingles for businesses such as Bebo’s Carwash, Metropolitan Toyota, Bel Air Mall, and many others. Guitar duties are handled by, Christopher Swinney(The Ataris). Before moving to the Gulf Coast to work as Talent Buyer for The Hangout/Hangout Music Festival…Chris toured as a member of multi platinum Columbia Records Punk band, The Ataris. Remember that rocking cover of Don Henley’s “Boys Of Summer” from a couple years back? Yep, that was The Ataris. Holding down the bass, is Carl Gates(Shine/Blackwater). Carl has been playing on the Gulf Coast for most of his life. Carl is the mastermind behind Rhythm Intervention’s current lineup and is the glue that holds the band together. He is also a 2015 finalist for the “Best Bassist” Nappie Award. Providing the beats is, Chris Ozuna(Mojiles/Vibe Irie/The Dian Diaz Band). The son of a professional musician mother…Chris’s whole life has been about music from the start. Combining elements of rock, heavy metal, funk, reggae, jungle, and dub step…Chris definitely has a drumming style all his own. Chris has played casinos, cruise ships, and everything in between. Rounding out the lineup is vocalist, Gary Hudson(Vibe Irie). Originally from the Trenchtown area of Kingston, Jamaica…Gary brings an authenticity to the band’s reggae material that is unmatched. Gary has performed in many groups with stints at the Sandals Resort in Jamaica and many different cruise ships. The band has taken the Gulf Coast by storm as of late with minimal days off playing many notable venues such as The Hangout, Florabama, Lu Lu’s, The Brickyard, The Vinyl, etc. With plans to record an album before years end…the sky is the limit for this hungry, hardworking band.